This is the story of Box Brewery which operated in the Market Place between 1864 and 1924. Never before has the story been told of Joseph Pinchin's amazing journey to Australia contributed by David Edwin Pinchin, his two-times great grandson. And we bring the story of the premises right up to the present. wearing dark suit and light hat in this picture. Many people in Box will associate the name Pinchin with Box Brewery or Box Mill. They are one of the most prolific of local families and the name Pinchin (possibly derived from pincers in old French) was relatively common in Wiltshire, Gloucestershire and Somerset during the 1800s. The family story is difficult to trace because locally there are Pinchins in a variety of occupational groups: farmers, brewers, maltsters and millers. This article focuses on the brewers in Box and the role of the family as millers and farmers will be dealt with in separate articles. The Pinchin family are reported to have been brewers since the 1500s but this is anecdotal and I have found no reference. It has also been said that a branch of the family lived in Box from 1649 until the 1900s, based at Greystones the family home. Again I have not been able to confirm these details. The earliest local reference to the name Pinchin that I have been able to find comes from the 1660s when a member of the family gave evidence against Walter Bushnell, the vicar of Box, who had borrowed £100 from the family. In 1763 we have Tobias Pinchin who reported the theft of a black gelding from a piece of ground in Box and offered a reward for his return of 1 guinea. These references tell us little about the family except that they had local roots, which is confirmed in 1795 when the remains of the late Mr William Pinchin of Box were interred at Ditteridge. So far, we have no positive identification of brewers in the family. It has been claimed that the village brewery started after the Northgate Brewery closed in Bath and moved to Box about 1867 at the instigation of the owner, George Pinchin. So this is the obvious place to start our search for the Pinchin brewery. In 1851 in residence at Hatt House, Box, with all the trappings of wealth, lived George Pinchin, brewer and part owner of Northgate Brewery, Bath. At one time the business was owned by him and a partner, George Simms of Montebello House, Bathwick Hill, and was reputed to be the largest brewer of its kind in the South West. Later the company was called Messrs George Pinchin & Co of Bath. It was a long established business, and George appears to have bought into it sometime after 1809 but before 1821. George lived with his second wife, Margaret Lewis, and two daughters, Mary and Georgina, in some style at Hatt House. 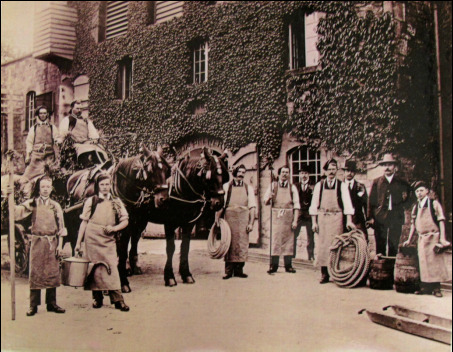 Unlike many manufacturing businesses, brewing was a respectable commercial activity for the landed class and they were important local people. They were very wealthy, employing a butler, cook, ladies maid, two servants and a coachman, who lived with his own family in Hatt Cottage. They weren't village people originally: George was born in Conock near Devizes; his first wife, Mary Bethell, came from Bradford-on-Avon; and his second wife, Margaret, came from Llandewi, Pembroke. They were eminent local people and a stained glass window was previously erected in the south aisle of Box Church: To the glory of God. In Memory of Mary the wife of George Pinchin of Hatt House in this parish and five of their children, 1857. Later George, Margaret and family moved to Bathwick Hill House, Bath, where he died on the 6 February 1861. George's estate at the time of his death was significant at about £4,000 (worth £40,000 in today's terms) but he had clearly made ample provision for Margaret, who continued to live for a further twenty years in some style on income derived from dividends. A fascinating report, some 60 years later, tells of the failure of the Northgate Brewery a couple of years after 1866, subsequent to George's death: It was to have been floated as a company and (sale) prospectuses were actually printed and ready for issue when the failure in 1866 of Overend, Gurney & Co, a big banking firm, upset financial arrangements. There must be some doubt, therefore, that Northgate Bewery moved from Bath to Box. There is some evidence that the brewery was established in Box by another member of the family, David Rice Pinchin, son of Joseph Pinchin 1. So we have to back-track to Joseph and another branch of the Pinchin family. Joseph Pinchin 1 and his family had been in Colerne from at least the early 1800s. With his wife, Elizabeth, he was a very substantial farmer. They lived with five children: three boys, David Rice, another Joseph (who plays little part in the brewery story) and Henry; and two girls, Elizabeth and Ann. Joseph 1 was extremely wealthy. In July 1834 he offered a reward of £200 for information about a fire that he suffered in his rick-yard at Colerne. He died in 1836 and, although we don't know much more about him, we know more about the children. The second son, Joseph, was also a farmer and in 1851 he and his sister Ann together farmed a massive estate of 408 acres of un-named land at Colerne. Henry married but died fairly young and Mary of Hall Farm was almost certainly his widow. She farmed 270 acres at Hall Farm at Colerne in 1851. Elizabeth married John Brokenbrow, also a farmer, and had at least three daughters: Elizabeth, Mary and Mercy. However, it is David Rice Pinchin who becomes the focus of the Box Brewery story. So we get to David Rice Pinchin, who is the originator of the brewery in Box. He got his start in life from his father's inheritance. In his father's will of 1836, Joseph 1 left to his eldest son, David Rice Pinchin, his premises in the Parish of Box, subject to the payment of £400 to his executors. The nature of those premises is not recorded but possibly they could have been a brewery somewhere in Box. David Rice was a person of considerable wealth, sometimes called a Gentleman (signifying his status and respectability). In 1851 he was recorded as a large farmer occupying two farms at different parts of the (Box) parish. The 1840 Tithe Commutation record says that David Rice Pinchin rented 232 acres from John Fuller which may have included Hatt Farm and outbuildings. We can go further and get a picture of a man who was not slow to go to the law to protect his wealth. In 1851 he objected to paying tolls at Box Toll-gate alleging that a load of hurdles was not a farming implement as claimed by the gate-keeper. By 1851 David Rice recorded himself as a brewer and had established a family dynasty with his two sons, William, a baker, and Peter, a brewer. As we shall see shortly, his son Joseph 2 had the most amazing history of all the Pinchin family and one which altered the whole course of the Brewery story. David Rice Pinchin died in 1853, nearly a decade before the Market Place premises was built and seven years before George Pinchin's demise. David Rice's will records the names of two beneficiaries other than his wife: his niece, Elizabeth Brokenbrow and Mary Pinchin, widow of his late brother, Henry. The former is a small bequest but to Mary he bequeathed some cottages and a plot of land. The will makes frequent reference to trustees, suggesting that the bulk of his estate is held outside of his personal estate (the names of those so benefiting are not readily available). Although not directly named, his executors appear to have been two or more of his sons. There is another way of tracing the origins of Box Brewery through the site of a Box malt-house. The grain needed to produce beer had to be malted (allowed to germinate) usually requiring a large floor area on which to soak, then dry the corn. A fairly large building was needed for this process. From the 1840 tithe apportionment details we are told that David Rice owned a garden behind a malt-house and that George Pinchin owned the malt-house grounds. So we need to trace where his maltings might have been situated. Living in Box in 1851 was Robert Harper Chubb with his family and three servants, a general domestic servant, a maltster and a gardener in an unidentified house in the centre of the village. 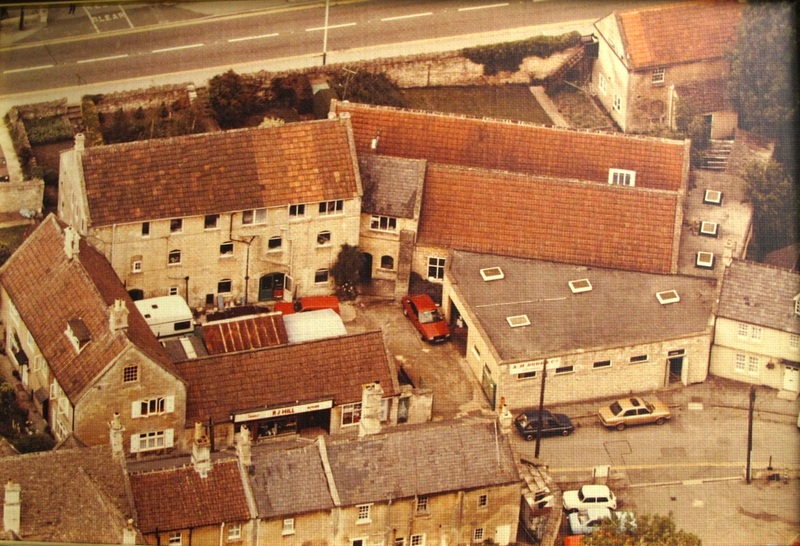 In 1865 three men, Robert Chubb, David Pinchin (David Rice's son) and Samuel Rowe Noble, sold their malt-house stables and malt-house gardens to the Bath Stone Firms. We can now identify the location of the maltings premises because the stables are now known as the Jubilee Centre and the gardens are the car park. This gives rise to the possibility that the maltings was also on the Jubilee Centre site or that Box Brewery, across the road from the car park, was actually the site of the original malt-house, later re-built as a new brewery factory. If the stonework above the main entrance is correct, Box Brewery opened in 1864. It has been suggested that the Northgate Brewery moved their business to Box Brewery when the Bath factory was closed and sold in the years 1866 - 68. As we have seen, this doesn't appear to be the case because David Rice called himself a brewer in Box nearly two decades earlier in 1851. Nor is it feasible by the size of the operation. The Northgate Brewery was brewing on an industrial scale supplying the 28 public houses, which the company owned in Bath, and exporting beer to Liverpool, London, Cornwall and Wales. As well as the brewery, they owned two Bath maltings and their factory was a tourist attraction, justifying its mention in contemporary Bath travel guides. This was a very big business. In comparison, Box Brewery is a more humble operation. Although it is difficult to see because of subsequent road alterations, the brewery faced onto the main road as well as the Market Place. Local people can remember the early 1900s when Vale View was the stables with an archway for the horses onto the main road. Now we have to backtrack a little to find the reason why one member of the family, Joseph 2, moved to Australia and established a new branch of Pinchins there because it was his family who eventually returned to run the Box Brewery. It is puzzling why Joseph 2 should go to Australia at all. At first, the only connection I could find related to the Swing Riots of 1830 when a certain Joseph Pinchin was convicted of assisting the rioters in Wiltshire and sentenced by Special Commissioners to seven years transportation. It seemed possible, but unlikely, that a member of a notable Box family should be involved in the riots and the dates were tight. Then I had an enormous amount of luck when I was contacted by David Edwin Pinchin, who was able to recount the amazing story of his ancestor's emigration in 1852 as part of the Australian Gold Rush. The Californian gold rush in the USA in 1849 had alerted people and the discovery of gold in Australia in 1851 encouraged boat loads of people from Britain, Europe in general and places as unlikely as China, all of who were determined not to miss out on the Australian strikes. They flocked to Victoria and New South Wales. Joseph travelled to Australia in 1852 with his brother Henry, who sadly died by drowning in the Broken River. They were travelling in the party of Thomas Woolner RA , a well-known sculptor associated with the Pre-Raphaelite Brotherhood movement. They also travelled with a Mr Vesey, who had been a candlemaker in Box. They were in Australia to find gold, as so many others were at that time. We get glimpses of Joseph's life in Australia. In 1864 he married Ellen Jane Skeate in Victoria, whose name was adopted by their son, Edwin Skeate Pinchin, when he was christened in 1869 in Omeo, Victoria State. In 1865 Joseph acquired property in Omeo comprising a total of 15 acres costing £15.8s.6d. It appears that some of the children may have returned to Britain in August 1871 (perhaps only for a visit) on the ship The Anglesey when Edwin was four years old. Following the death of his wife and one of his children, Joseph 2 returned to the UK arriving on 14th December 1885. It is possible that they felt their father had been hard done by and they wished to make amends. The 1871 census records Peter Pinchin (b 1827), son of David Rice Pinchin, living at the Box Brewery and employing nine men and one boy. Peter was the brewery owner. His elder brother Francis was still farming Hatt Farm but the size of the farm had reduced to 185 acres and the other brothers were no longer living there. Peter never married and he served as the patriarch figure gathering family members around him. In 1891 two nieces, Elizabeth and Anna, and nephew, Edwin Skeate Pinchin, were living with him. They were all active in the family matters: Edwin Skeate as assistant brewer, Elizabeth as housekeeper and Anna as account-keeper. Peter was over 80 years old when he and Edwin Skeate were involved in a horse and trap accident at Bathford Hill in June 1900. The newspaper reported that Peter was, severely hurt but we understand his condition is improving. By 1901 Peter had retired and his nephew Edwin Skeate Pinchin took over the business. Peter lived on until he died in 1906 leaving over £13,000. By the turn of the century, the Box factory was providing beer to Somerset and Wiltshire. In 1904 a 9 gallon cask, the property of ES Pinchin of Box Brewery was stolen as it was being delivered at Swainswick. Edwin Skeate married Charlotte Jane Browning in 1907 and they had moved to Kingsmoor House by 1911. Anna had died or married, leaving Elizabeth living in the Brewery House with one servant. Edwin Skeate Pinchin had two children with Charlotte: Mary and William Edwin born May 1911.By 1915 Edwin Skeate Pinchin and his family were back living at Brewery House. When Edwin Skeate Pinchin died, aged 55, on 17 April 1924, it was a great shock to the village: The great loss sustained by the village in general at Mr Pinchin's decease, and the respect and esteem in which he was held, was shown by the large number of mourners who followed the hearse to the cemetery. The funeral was attended by churchwardens, overseers, councillors, Box choir, cricket club representatives as well as Charlotte and their two children. There were more troubles. The family sold the brewery shortly after Edwin Skeate's death. The brewery was originally put up for auction by Tilley & Culverwell the same year but although there was a good company present, the bidding failed to reach the reserve. Later, in 1924, the business was sold to Ushers for £10,000. The sale included six public houses, none of which I have been able to identify with certainty although papers among the Usher Archives held in the Swindon and Wiltshire Family History Centre have documents relating to the Bear. Later the premises were taken over by Murray & Baldwin and were primarily a timber shop. During the Second World War, they made parts for the Boulton Paul aircraft (possibly the wooden frames of the cockpit) and turrets for fighter planes, like the Hawker Demon and the Defiant. There were various processes from shaping the wood to gluing and fixing, using imported specialist Dundas timber. After the war the company turned its hand to utility furniture and wooden-framed tennis-racket stringing. It was still a large site and the premises now occupied by Dave Hill's butcher's shop was the stringing or gluing factory. But the company ceased trading in 1954 and for eight years the site was unoccupied. 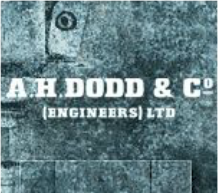 In 1962 the firm of AH Dodd & Co moved down from London and started to tidy up the premises to use as a precision engineering machine shop. They cleaned up the site and re-laid the wooden machine shop floor with concrete to take the pressure of 1 ton engineering machines. Under the control of John Dodd and his father they produced a variety of precision parts for automatic controls, including valves for Potterton boilers, thermostat controls for radiators and specialist lights for jewellery shops. Their work required great accuracy making small brass screws with 0.5mm length and 0.06 diameter. At one stage they employed a number of secretarial staff including local girl, Joan Woodgate. Much of the premises has now been converted into flats but work continues in the engineering shop, still making small precision parts. The last thought must go back to the Victorian brewery. For many years the Market Place was an industrial centre in Box with a brewery and malt-house which appears to pre-date the 1864 Box Brewery premises. It was an ideal location. Brewing requires large volumes of water of which there is an ample supply in the Market Place from springs and a stream at the rear of the Jubilee Centre. Probably the business was supplied with barley and corn from Pinchin family farms in the area. In turn the malt-house may have sold malt to other, independent local public houses, many of which brewed their own beer. Box Mill and Box Brewery were both casualties of the depression of the 1920s when they ceased to trade. It was a great blow to the village and affected many Box families who relied on them for employment in an industry other than the stone mines. George Pinchin was born in Conock, Wiltshire and was often called Esquire. In 1816 he is described as living at Hazelbury House when he married Mary Bethell, only daughter of James Bethell, Esq of Lady-down, near Bradford, Wilts. Later he married Margaret (b 1796) at Llandewi, Pembrokeshire. He is chiefly renowned for his acquisition of a share in Northgate Brewery, Bath. He is recorded on the Bath Forum Electoral Register as owning property in Bath: 1832 Marlborough Tavern; 1835, 1837 and 1841 at Northgate Brewery; and 1846 at Britannia Inn, London Road. By the 1841 census he lived at Hatt House with Elizabeth (b 1826, aged 15) and several servants. Living next door at Hatt (Farm) was Francis Pinchin (b 1821) farmer; Elizabeth (b 1821); and Peter (b 1826). Possibly he was brother of David Rice Pinchin and the family next door were his nephews and nieces. In 1844 his son drowned in a swimming accident in the Birmingham and Worcester Canal, whilst attending Bromsgrove School. He died 6 February 1861 at Bathwick Hill House, Bath leaving under £50,000 (re-sworn in 1862 as under £4,000) with probate to George Hornblower Simms, Esq; Henry Bethell, Esq; and George Spencer, Esq. Children: Mary; Georgina; son unnamed (d 1844); plus at least two other unnamed children. Children: a. David Rice (1792 - 1853); b. Joseph (d 1873); c. Henry; d. Elizabeth; and e. Ann. b. Joseph - In 1851 he and Ann farmed 408 acres at Colerne. He died on 15 April 1873. His will proven by nephews Peter (County Brewer) and Joseph Pinchin (Yeoman) of Hall Farm, Colerne. c. Henry married Mary but died fairly young. In 1851 she farmed 270 acres at Hall Farm, Colerne. Children: Elizabeth; Mary; and Mercy. e. Ann - no details. Married 4 March 1817 to Elizabeth Gibbs (1792 - ) of North Wraxall. Children: a. Elizabeth Pinchin (1818 - ); b. David Pinchin (1820 - 12 February 1878) farmer; c. Francis Pinchin (1823 - 1884) farmer; d. William Pinchin (1824 - ) baker; e. Peter Pinchin (1827 - ) brewer; f. Ann Pinchin (1834 - ); g. Joseph 2; h. Henry. a. Elizabeth (1818 - ) was a partner with brother Peter in the Market Place brewery business. Believed to have been unmarried. b. David (1820 - 1878) yeoman farmer of Codrington. Farmed about 185 acres at Hatt Farm, employing 4 men and 2 boys. wife Catherine Pinchin, and son John Wiltshire Pinchin value £2,436.15s.1d. married Mary Mallory. ); Matilda W Pinchin (1869 - ). You will see Henry, born 1863, and Joseph, born 1867, in your article as the children of Francis and Catherine. d. William (1824 - ) baker. Unmarried who retired some time between 1894 and 1901. He died 12 April 1906 leaving £13,072.0s.4d with probate granted to John Wiltshire Pinchin (oldest son of his older brother, Francis), and Elizabeth Jane Pinchin (niece). In 1871 he lived at the Brewery with Elizabeth, his older sister and partner in the business, and Elizabeth W of Box, his niece (probably daughter of Francis). In 1894 he attended the Wiltshire Brewers Association AGM. In 1891 and 1901 he was giving lodgings to his Australian nephews and nieces: Elizabeth Jane Pinchin (1860 - ); Anne Josephine Pinchin (1861 - ); and Edwin Skeate Pinchin (1869 - 1924) brewery employer. f. Ann (b 1834) married 26 October 1871 Joseph Gibbs, youngest son of the late Mr Ralph Skeate of West Yatton, Wilts. g. Joseph 2 emigrated to Australia in 1852 to find his fortune in the Australian Gold Rush. Married Ellen Jane Skeate in 1864. Child: Edwin Skeate Pinchin (1869 - 1924) born at Omeo in Victoria, Australia - see later. In 1891 and 1901 he lived with his uncle Peter at The Brewery, Bath Road and his sisters Elizabeth Jane (b 1860) and Anne Josephine (b 1862), both of whom were born at Victoria, Australia. In 1906 Edwin Skeate married Charlotte Jane Browning (b 1868) and in 1911 they lived in 9 rooms at Kingsmoor House, Townsend and he is described as brewer and maltster. He died on 17 April 1924 at Brewery House, Box leaving £7,973.11s.1d to his widow and the Brewery was sold to Ushers. 2. Ancestry.Com---Pinchin Family, Francis, George, David Rice, Peter, Edwin, Elizabeth, Samual, David and Charlotte. 8. Grateful thanks to the contribution of family member David Edwin Pinchin. Bath Chronicle, 10 August 1929. The firm was often called the bankers' bank and its collapse brought down over 200 companies nationally. The original is difficult to read and may be £500. 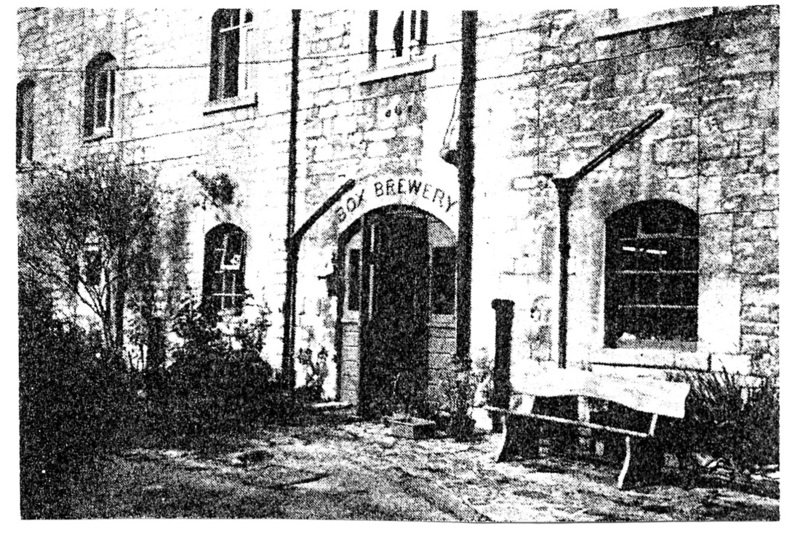 Michael Marshman, Wiltshire Life, April 2005 says that the brewery closed in 1921 but this appears to be incorrect.